Hope to see you this coming week at ProFood Tech in Chicago. It’s not too late to send this Windy City native an EMAIL for restaurant suggestions, grocery store hot spots or just some sightseeing tips. I was happy to assist a number of you already. Just hope my suggestions don’t disappoint. Make sure you get the Daily Dose of Dairy LIVE on your ProFood Tech calendars. Each day of the expo, which runs April 4 to 6 at McCormick Place, I will be giving trends presentations at the International Dairy Foods Association booth (#910) in the Dairy Pavilion. For more information, link HERE. Visit SensoryEffects at Booth 2937 at ProFood Tech. Now let’s talk caramel, a flavor with Chicago connections. From Werther’s and Brach’s candies to Eli’s Cheesecake to Garrett’s Popcorn (think Chicago Mix: a butter, caramel and cheese popcorn trio), caramel is a part of Chicago’s food history. 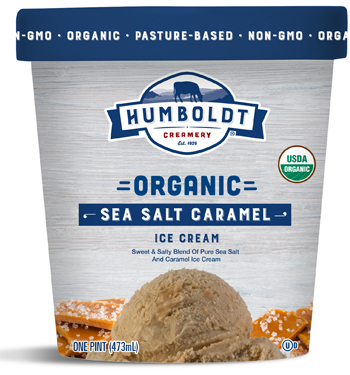 It also is a very relevant flavor in the ice cream category, with favorites like Praline’s & Cream and more recently, Salted Caramel. But oh, the opportunities are infinite. Here’s why. 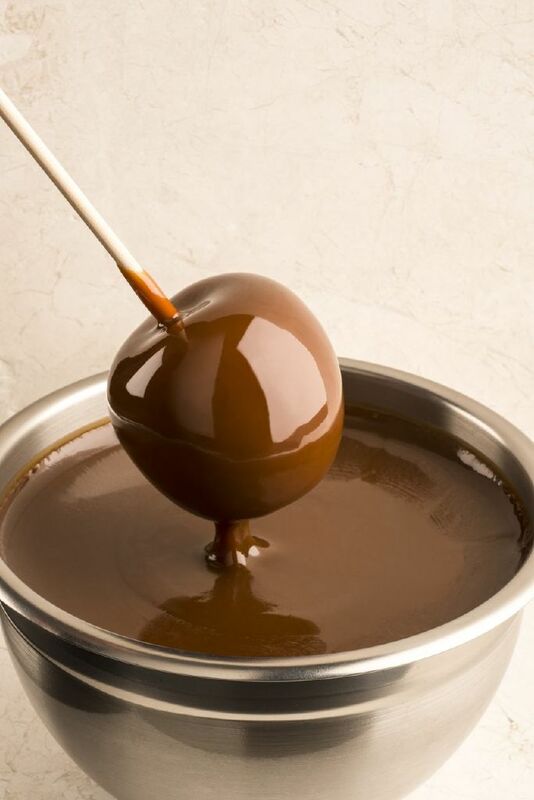 Caramel is made by boiling sugar until it turns a light brown color, then mixing in cream, butter and vanilla. Upon cooling, depending on the recipe and the inclusion of other ingredients, it firms up. Consistency ranges from flexible and chewy to syrupy. 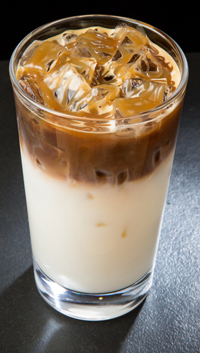 Those four key ingredients and the range of consistencies makes caramel an ideal carrier for varied flavors, which together work very well in many dairy applications. The fat components of caramel do a great job mellowing the heat of chilies and spices, while at the same time allowing their flavors to explode. Think chipotle peppers. The sweetness of caramel serves as an ideal back drop to the contrasting tastes of bitter, salty, sour and umami. Think bacon, coffee, dark chocolate, fleur de sel, Meyer lemon, and more. The vanilla flavor, which varies in strength from caramel to caramel, can enhance some flavors while with others masks their off notes. For example, vanilla enhances the malted flavor of bourbon while subduing its throat-burning bite. The overall consistency of caramel makes it an ideal binding agent of other ingredients as well as a coating to protect ingredients. Think crunchy nuts and granola bites. Its high sugar content provides color protection to fresh fruits. Think bananas foster and taffy apples. The best way to discover new flavor adventures with caramel is to observe activities in varied food platforms, including baking and confections, as well as BaconFest. Yes, BaconFest. It starts tonight and runs all weekend in Chicago. Here are 15-plus dairy product innovations that entered the market this past year. The opportunities for greater innovation are infinite. Ciao Bella, maker of premium, artisan gelato and sorbetto, just completed a packaging overhaul designed to evolve the brand to be more on trend, competitive and approachable. 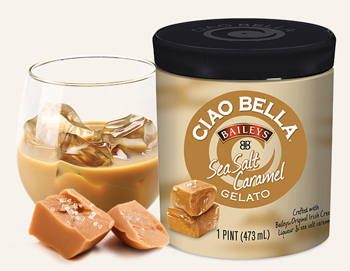 With the new look comes new flavors, including Baileys Sea Salt Caramel. The company partnered with Baileys to blend its rich gelato with Baileys Irish Cream. Then Ciao Bella took it one step further and added sea salt caramel. Clean, clear packaging depicts instantly recognizable ingredients that tie to the frozen treats’ natural colors. Along with a new logo, Ciao Bella, in an unprecedented move, is replacing its current 14-ounce jar with a larger, cylindrical shaped 16-ounce container without raising prices. 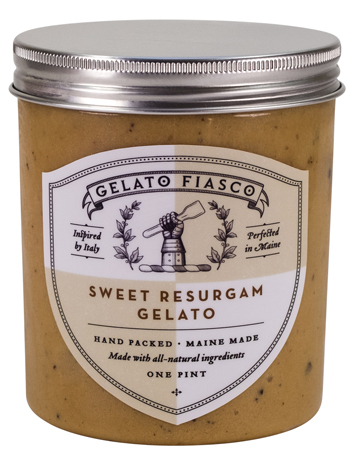 Gelato Fiasco is releasing four new flavors as part of its 2017 pint collection. One of them is a unique twist on caramel. Sweet Resurgam Gelato was named for Portland, Maine’s motto, which means, “I shall rise again.” The flavor is burnt sugar almond gelato with swirls of salted caramel and chocolate chips. All of Gelato Fiasco’s gelato pints are made with milk from Maine family dairy farms, natural cane sugar, and no artificial flavors, colors or corn syrup. 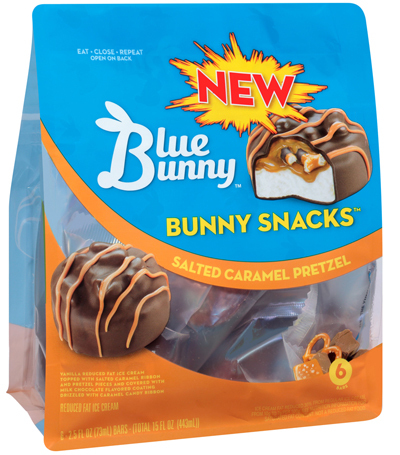 Wells Enterprises made caramel a key flavor in one of its new Blue Bunny Bunny Snacks. 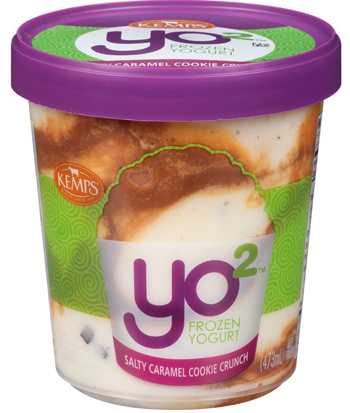 Salted Caramel Pretzel is vanilla-flavored reduced-fat ice cream layered with salted caramel and chocolate-covered pretzel pieces enrobed in chocolate-flavored coating with caramel candy drizzle. The new ice cream snack comes in a resealable stand up pouch that contains six individually wrapped 2.4-ounce ice cream treats. Both the inner packaging and outer packaging is clear in order to let consumers see the product. 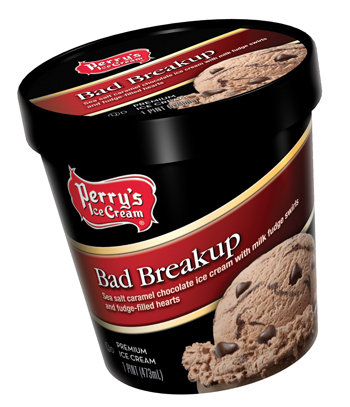 To celebrate National Breakup Day, which was February 15, the day after Valentine’s, Perry’s introduced Bad Breakup. This is sea salt caramel ice cream with milk fudge swirls and fudge-filled hearts. 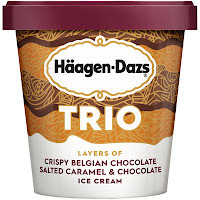 Nestle is rolling out Haagen-Dazs Trio, a line of ice cream pints that contains layers of ice cream and crispy Belgian chocolate. To get a taste of all the layers, you have to dig in. 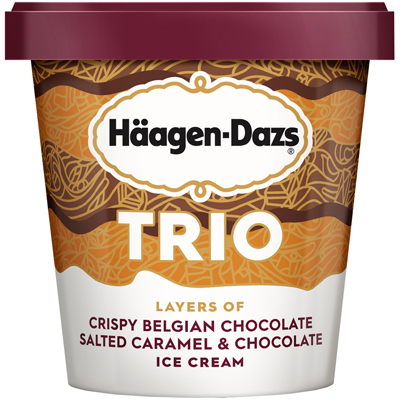 The four-variety rollout includes Salted Caramel & Chocolate. These are the ice cream flavor layers, which are layered with the crispy Belgian chocolate. 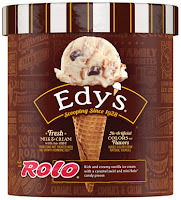 The company is licensing the Rolo trademark from The Hershey Company to add a Rolo ice cream to its highly indulgent inclusion-based pint line, which includes Nestle Butterfinger, Nestle Drumstick and Nestle Toll House Cookie Dough. 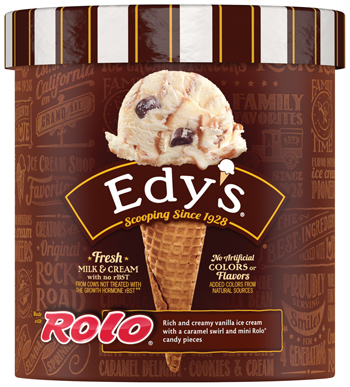 The new Rolo variety is vanilla ice cream with a caramel swirl and mini Solo candy pieces, which are chewy caramel surrounded by milk chocolate. 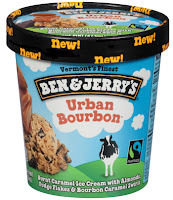 Earlier this year Ben & Jerry’s rolled out some new and unusual flavors, unusual even by this adventurous brand’s standards. This includes Urban Bourbon, which features burnt caramel ice cream with almonds, fudge flakes and bourbon caramel swirls. 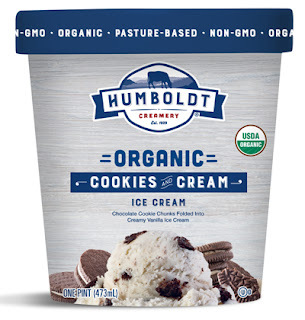 Humboldt Creamery is rolling out organic ice cream pints. 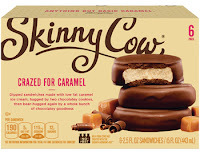 The company uses locally sourced fresh organic cream from pasture-raised cows, then folds in premium, wholesome ingredients, along with 60% overrun, for more deliciousness and less air. The new seven-flavor line includes Sea Salt Caramel. Snoqualmie is introducing seven “handcrafted happiness” ice cream pints. The company prides itself on using the best possible ingredients, with many sourced from the Pacific Northwest, including grass-fed milk and cream, eggs, berries and honey. 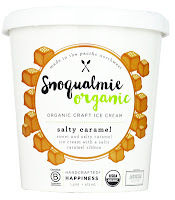 Snoqualmie Organic is a French-style, frozen custard (ice cream). It is vat-pasteurized, slow cooked and crafted in small batches with extra cream and very little air. 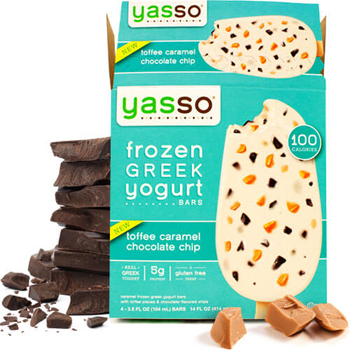 One of the seven new flavors includes Salty Caramel, which is made with a custom organic caramel using sea salt from Portland’s Jacobsen Salt Co.
Yasso Frozen Greek Yogurt is introducing a number of new products this season, including Toffee Caramel Chocolate Chip stick bars. With its rich, decadent taste profile, chunks of toffee and chocolate chips, one bar has just 100 calories and 5 grams of protein. At the end of 2016, Kemps introduced Yo2. The new frozen yogurt pint line comes in six flavors, including Salty Caramel Cookie Crunch. It is vanilla frozen yogurt with shortbread cookies, chocolaty chunks and salty caramel swirl. 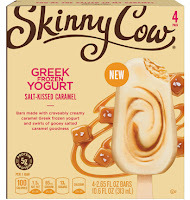 Nestlé continues to invest in its Skinny Cow frozen novelty line. Caramel is an important flavor in its better-for-you brand, which now comes in simplified recipes and updated packaging. One of the new flavors in its stick line is Salt-Kissed Caramel. The brand is also rolling out Crazed For Caramel low-fat ice cream sandwiches dipped in chocolate. The sandwiches are low-fat caramel ice cream with chocolate wafers fully dipped in chocolatey coating. Imagine how amazing this would be if it also had an inside layer of oozing caramel? 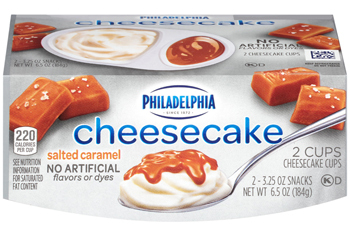 Kraft Heinz just rolled out Philadelphia Cheesecake Cups, with one of the four varieties being Salted Caramel. These new refrigerated snacks come in two packs of 3.25-ounce clear-plastic single-serve cups. Packages tout the fact that the snacks do not contain artificial flavors or dyes. Cheesecake filling is the first ingredient, with cream cheese the first component of the filling. 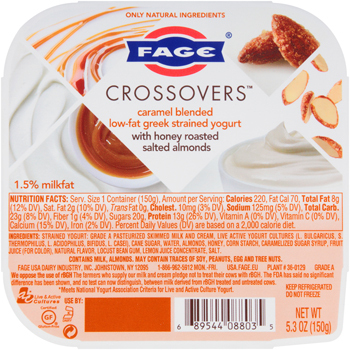 Less than a year ago, Fage introduced Crossovers, a product line described as chef-level snacking. The dual-compartment 150-gram containers have strained yogurt on one side and crunchy toppings on the other. The eight new varieties include Caramel with Almonds. At the beginning of this year, Chobani added on to its Flip line with dessert-flavored options. 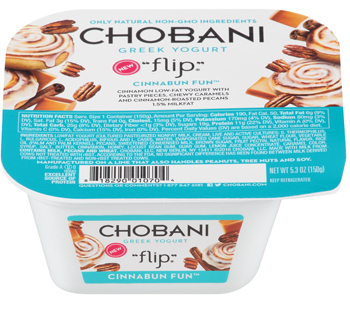 The new side-by-side (yogurt and inclusions) product includes Cinnabun Fun, which is cinnamon-flavored low-fat yogurt with a side of pastry pieces, chewy caramels and cinnamon-roasted pecans. Also at the beginning of the year, General Mills introduced Yoplait Dippers. 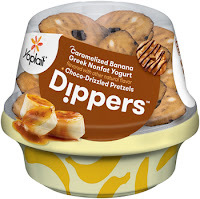 The dome-style container includes sweet or savory nonfat yogurt in one part and crunchy dippers in the other. The new single-serve packs come in six varieties. One of them is Caramelized Banana Greek Yogurt and Choco-Drizzled Pretzels. See you at ProFood Tech in a few days. Where did the first quarter of 2017 go? Yes, it’s almost gone, which means it’s ProFood Tech time. That’s right. In less than two weeks, dairy industry professionals will gather in Chicago—my home town, born and raised and still living in the city. I’m a true Windy City girl. Welcome. If you need any restaurant suggestions, grocery store hot spots or just some sightseeing tips, please don’t hesitate to ask by email HERE. I highly suggest visiting the new Whole Foods that opened this week at 3201 N. Ashland Ave. At 75,000 square feet of space, it is the 3rd largest Whole Foods in the world (behind London and Austin). It’s in my neck of the woods, not far from Wrigley Field, which is always a nice place to visit. Visit Double H Plastics at Booth 2810 at ProFood Tech. 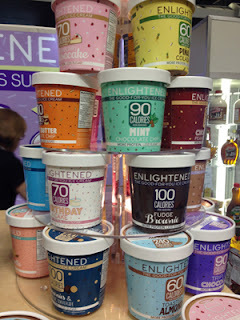 And, if it’s ProFood Tech time, ice cream season is here, too. According to Ice Cream and Frozen Desserts in the U.S., 9th Edition, from Packaged Facts, the market for ice cream and other frozen desserts is, as it has been for a very long time, an extremely mature market with little room for growth. Occasionally a new product will cause a stir that increases sales, but usually the success of a new product comes at the expense of existing products, rather than as added sales to the category overall. Make sure you are that new product with sales success, not the one losing share. On-trend flavors, consumer-appealing formulations and eye-catching, convenience packaging may assist. These topics will be addressed at Daily Dose of Dairy LIVE. Let’s take a sneak peek at what we can expect to see this summer ice cream season. First, to give you an idea of the ice cream landscape, for 2016, Packaged Facts estimates that the market for all ice cream and frozen dessert sales, including packaged ice cream and frozen novelties sold through retail channels and ice cream purchased at foodservice outlets, was just shy of $28 billion. This figure includes $12.3 billion on the retail side and $15.7 billion from foodservice. Total ice cream and frozen dessert sales are projected to approach $30 billion by 2020. Retail dollar sales are projected as growing to almost $13 billion while foodservice will surpass $16.3 billion. If you are primarily a retailer player, now’s the time to start exploring foodservice. Convenient, on-the-go-packaging is paramount for this channel. The Packaged Facts report starts that forces currently shaping the ice cream market are likely to be the same ones that will determine its direction through the next several years. These include the introduction of products that fit in with the “free-from” trend in the food and beverage industry in general; an increase in gelato and superpremium ice cream introductions and sales; reduced sales of packaged frozen yogurts; and more variations on already popular flavors. In addition, the market will continue to see new packaged ice cream and frozen dessert products emerging that feature successful local or regional foodservice brands. Interestingly, the report explains that while size and shape of package play a part in distinguishing product quality types, the artwork on containers of all quality levels has seen improvement over the last several years, with several premium brands affecting a superpremium style in their graphic presentation. In addition, representation of the flavor sources—fruits, nuts, etc.—has become more common and more appealing through recent years. 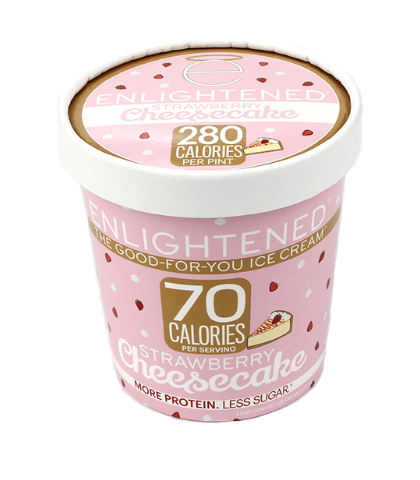 Also increasingly common is to carefully—and subtly--make formulation call outs on ice cream packages, with the lid rim proving to be an attractive spot to flag product facts without being overwhelming. 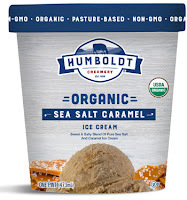 That’s what you get with the new organic pint line from Humboldt Creamery. This is a beautiful package. The real-food photography jumps out at you while the lid conveys important product attributes, such as pasture raised, non-GMO and organic. Read more about this new product line this coming week when it is featured as a Daily Dose of Dairy. When it comes to package size, small is big, and smaller is often even bigger, in the eyes of the shopper. That’s because many of today’s shoppers appreciate smaller volume packs, which encourages them to purchase more variety to satisfy curious taste buds. An extra bonus is a spoon in the lid for immediate consumption. 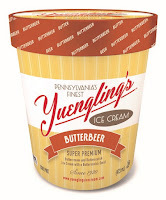 Last year, just in time for National Ice Cream Month (July), Yuengling’s Ice Cream launched a new 8-ounce single-size serving cup complete with spoon attached inside the lid. This grab-and-go cup is intended for the convenience channel and made its debut in four of the brand’s best-selling superpremium flavors. They are: Black and Tan, Original Sea Salt Caramel Swirl, Root Beer Float and Vanilla. More flavors may be likely in the works for this ice cream season. Never forget that ice cream is meant to be fun and enjoyed by all. Taking inspiration from a popular wizarding beverage, earlier this week, the company announced that Butterbeer is joining its pint line. 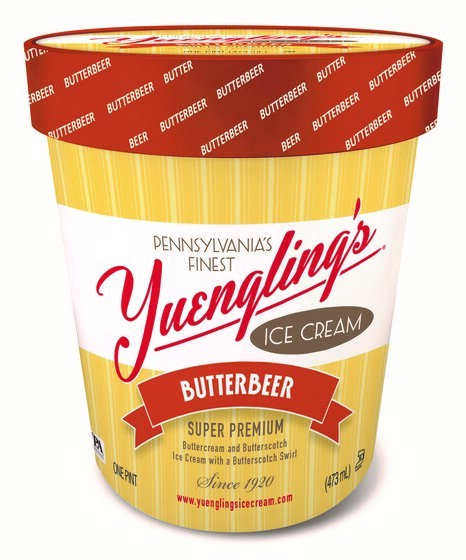 Once described by Harry Potter author J.K. Rowling as “a little bit like less sickly butterscotch,” Yuengling’s take on the flavor will be half buttercream ice cream and half butterscotch ice cream, twisted with a butterscotch swirl. The result is magical decadence that will transport you to another place and time, according to the company. “We are always looking for ways to inspire our fans and spark creativity. 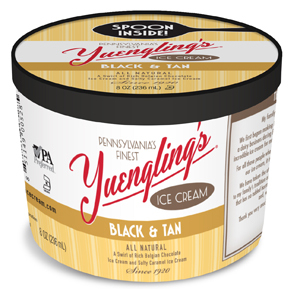 Whether it’s our flavor names and descriptions or the recipes themselves—we’re in the business of having fun,” says Yuengling. Looking for something a little more fruity? Strawberry was also announced to the Yuengling’s Ice Cream lineup in response to popular demand. That’s right…strawberry ice cream is trending. 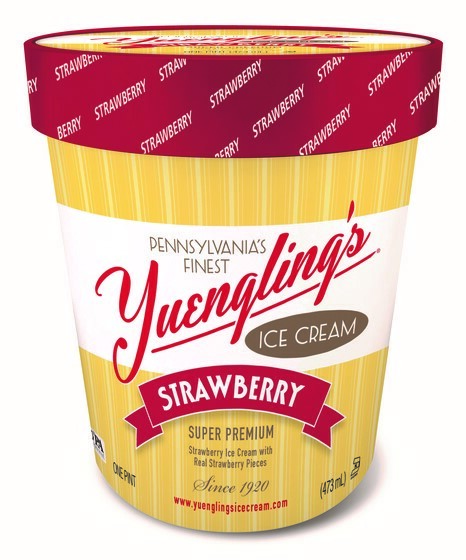 Yuengling’s turned to social media to gauge customer interest levels and solicit fan feedback on new flavors and strawberry has been a consistent request since the brand relaunched in 2014. 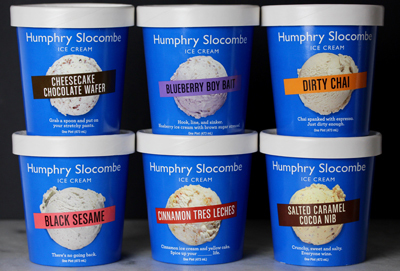 The two new flavors are currently available in pints, with quarts being made available soon. Trending flavors and a forecast of flavor innovation will be part of the Daily Dose of Dairy LIVE series at ProFood Tech. 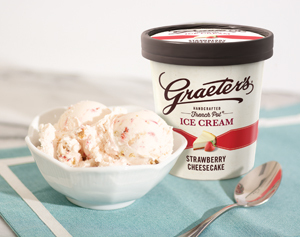 That strawberry trend continues with Graeter’s new Strawberry Cheesecake ice cream that features a rich cheesecake base with sliced strawberries and pieces of buttery graham cracker crust. Like all of Graeter’s ice cream, this product is handcrafted 2.5 gallons at a time using French pot freezers, a 147-year-old technique that five generations of the Graeter family have perfected. Another on-trend flavor is coffee. Not just ordinary coffee, rather cold-brew coffee. 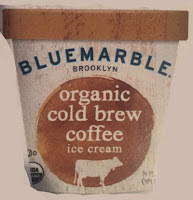 Blue Marble Ice Cream of Brooklyn, N.Y., is adding this flavor to its organic ice cream line up. The 14-ounce packs of Organic Cold Brew Coffee explain that the ice cream is made with organic 100% Arabica beans from Colombia’s Andean Highlands. A half-cup serving ranges from a mere 60 calories to 100. Most varieties have 1.5 grams of fat, 5 to 6 grams of sugar and 6 to 7 grams of protein per serving. This is accomplished through a proprietary base mix including skim milk, milk protein isolate, erythritol, soluble corn fiber and monk fruit extract. San Francisco’s Humphry Slocombe rolled out six new flavors at Natural Products Expo West a few weeks ago. Known for its adult-centric creations (in terms of both taste and flavor names), the company’s bold new offerings continue to target mature taste buds. They are: Black Sesame, Blueberry Boy Bait, Cheesecake Chocolate Wafer, Cinnamon Tres Leches, Dirty Chai and Salted Caramel Cocoa Nib. Friendly’s Manufacturing and Retail is introducing Signature Sundaes, a new line consisting of four unique, indulgent sundae creations that are the perfect sweet treat for sundae enthusiasts. The 28-ounce clear package enables them to see all their favorite sundae components in one convenient carton. 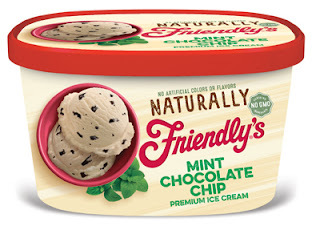 The company is also rolling out Naturally Friendly’s, an ice cream line featuring eight flavors made from simple ingredients. Created with ingredient-conscious consumers in mind, Naturally Friendly’s does not contains any artificial colors, flavors, preservatives, corn syrup or GMO ingredients. 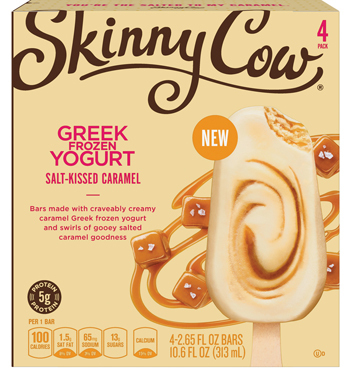 The flavors are created using only the finest, uniquely sourced ingredients from natural sources like fresh milk, cream, cane sugar, vanilla and carob bean gum, according to the company. Packages communicate this. The flavors are: Chocolate, Chocolate Fudge, Chocolate Peanut Butter, Mint Chocolate Chip, Vanilla, Vanilla Caramel, Vanilla Blackberry Swirl and Vanilla Peanut Butter Fudge. The 48-ounce cartons range in price from $4.49 and $4.99 and boast 12 individual servings per package. Need some innovation ideas? Plan to attend the Daily Dose of Dairy LIVE during ProFood Tech. See you soon! As I enjoyed a McDonald’s Shamrock Shake on Thursday afternoon while sorting through the stack of materials collected at Natural Products Expo West a week ago, I reflect on the “luck of the dairy industry.” Yes, indeed, the dairy industry is in a very good place. Though Expo West had ample share of dairy alternatives in fluid, cultured and frozen formats, I do believe there was more REAL dairy at the exhibition this year. And why? Because dairy is inherently, simple, pure and nutritious. It’s just what many consumers want. Now, as anyone in the food industry knows, distribution and retail merchandising puts stress on foods, dairy foods included, and additives are often necessary to maintain quality and ensure safety. It’s paramount that those ingredients be chosen wisely in order to keep labels clean and simple. 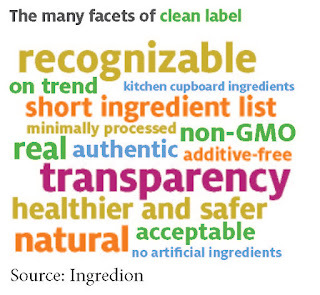 Research from Ingredion reveals what consumers want to see—and not see—on food and beverage labels. U.S. consumers aren’t just reading labels, they’re scrutinizing them. Standing in the grocery aisles with heads bent and products in hand, they are searching for claims and ingredients that make their buying choices easy. This product goes in the cart; this one goes back to the shelf. Is your product making the cut into the cart? And after that, does it pass the taste test and make it into the cart again and again? Ingredion’s research shows that the drive for clean and simple continues to expand, with nearly three-quarters of U.S. consumers finding it important to recognize the ingredients used in the products they buy. While the majority of consumers look at front-of-pack claims, many also are interested enough to turn packages over to look for the ingredients that led to the claim—and to see if they can find other reasons to buy or not. Interestingly, the ingredient list helps justify price in the minds of consumers and is of particular interest to shoppers over age 30. This is important to note. It’s not just a millennial thing! Forty percent of survey respondents ranked the descriptor “natural/all natural” number-one in terms of appeal on the front of packaging. “No artificial ingredients” came in second (31%). This is challenging for marketers who know the term natural is ambiguous and can stir up controversy with watch-dog groups. 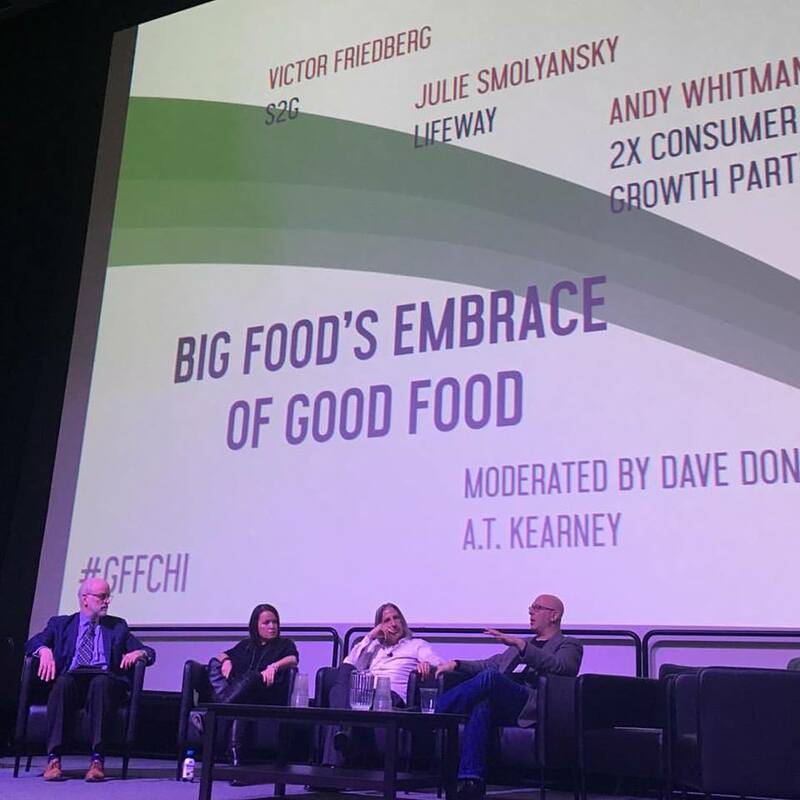 However, what is encouraging is that data also showed that 58% of consumers ranked “no artificial ingredients” as the claim most likely to make them consider switching brands. Many of the innovations that debuted at Expo West included claims of “natural,” “organic” and “no additives/preservatives.” In fact, all products exhibited at Expo West must meet certain criteria established by the event organizer, criteria that in fact renders the product clean label. It’s like Expo West organizers are the clean-label police. According to Supermarket News’ Whole Health Survey 2017 of retailers, wholesalers, manufacturers and sales agencies, clean label was the strongest wellness trend in 2016, followed by organic, then natural/organic private label. It’s no wonder the expo floor was packed full of buyers and brokers from around the country and beyond. Dairy ranked third in terms of the greatest increase in consumer demand for natural/organic/green products. Produce ranked first, while grocery/snacks came in second. Meat was fourth. Seventy-five percent of respondents said sales in health- and wellness-related categories increased this past year. And here’s something to take note of: only 29% of respondents said that conventional products remain strong in the dairy category. 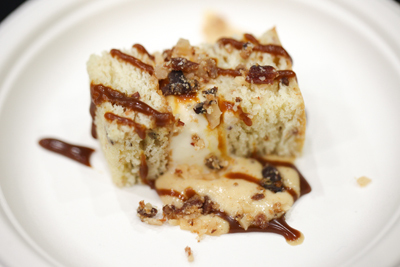 It’s no wonder there were so many new—and improved—dairy products at Expo West. Here’s a sampling. 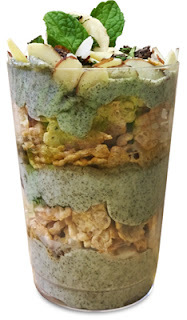 Lifeway debuted Ceremonial Matcha Organic Kefir. This new kefir variety is packed with protein—11 grams--and 30 milligrams of caffeine (from the addition of organic matcha green tea powder) per 8-ounce serving. Matcha is an antioxidant-rich superfood known for its ability to boost memory, energy, alertness and mood. The product is naturally gluten free, low in fat and 99% void of lactose. The 15 to 20 billion colony-forming units (CFUs) of 12 live and active cultures may help support immunity and digestion. The company fills the new variety of kefir, as well as its other kefir products, in bottles that are made of plant-based materials. This renders them 100% recyclable. 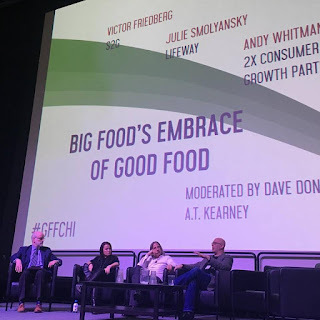 On Thursday, my friend Julie Smolyansky, CEO of Lifeway, spoke with other industry leaders on the role of “big food” in today’s food world at the Good Food Festival & Conference in Chicago. This includes companies such as Lifeway, as well as most of the other Expo West exhibitors. This includes obesity and diabetes epidemics, climate change, and malnutrition and famine around the world. These are many of the communities represented at Expo West. Straus Family Creamery, the first 100% certified organic creamery in the U.S., is expanding its line of premium organic Greek yogurt. The yogurts are made with simple organic ingredients and live active cultures. The vat-set yogurt is carefully strained, which gives it a thick and creamy texture without the addition of thickeners or stabilizers. New Lowfat Plain and Whole Milk Vanilla are joining Nonfat Plain and Whole Milk Plain. 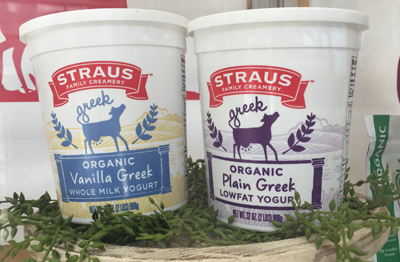 Strauss uses sweet cream buttermilk in its Greek yogurts to add an extra touch of deliciousness. 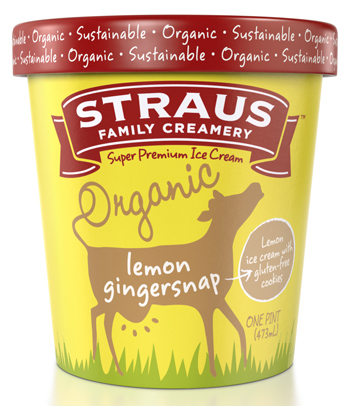 Last year the company added two refreshingly simple ice cream flavors--Lemon Gingersnap and Strawberry—to its frozen dessert lineup. Both flavors are made from organic milk and cream supplied by local family farms in Marin and Sonoma Counties. 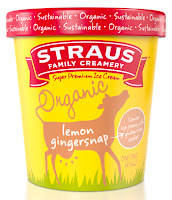 The Lemon Gingersnap features smooth, creamy organic lemon ice cream, blended with gluten-free cookies from Ukiah, California-based Pamela’s Products. The Strawberry ice cream combines organic strawberries with a sweet cream base made from only a few simple, organic ingredients: cream, milk, sugar and egg yolks. 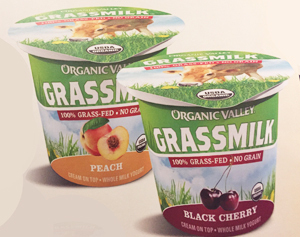 Organic Valley, the U.S.’s largest cooperative of organic farmers and a leading organic brand, is growing its Grassmilk Yogurt line. The yogurts are made from milk produced by cows that are 100% grass-fed, with no supplemental feed, grain or soybeans in their diet, just lush, fresh pasture and dried forages, according to the company. This diet produces milk that naturally contains calcium, conjugated linoleic acid and omega-3 fatty acids. Crafted in small batches, the yogurt is minimally processed, cream-on-the-top yogurt made from non-homogenized whole milk. Black Cherry and Peach are now part of the 6-ounce single-serve cup lineup, which debuted a year ago in Plain, Strawberry, Vanilla and Wild Blueberry flavors. 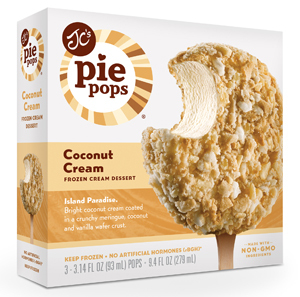 JC’s, a brand known for dreaming up classic frozen treats and decadent candies with a modern twist, added Coconut Cream and Chocolate Peanut Butter to its JC’s Pie Pops frozen novelty line. The brand’s signature JC’s Pie Pops combine the taste of classic pie favorites, topped with crumble, all on a stick. The new flavors join Banana Cream, Caramel Apple Crumble, Caramel Turtle, Chocolate Silk, Key Lime, Mint Chocolate Chip, S’mores and Strawberry Cream. 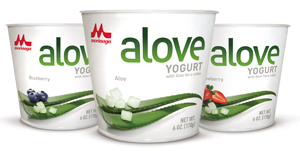 Morinaga Nutritional Foods introduced Alove, a yogurt snack that contains real bits of aloe. The yogurt is made using Morinaga’s proprietary process of removing fresh aloe from aloe plant leaves, the best and tastiest parts. This then gets mixed into creamy yogurt. The product is made in the U.S. using locally sourced California milk. It does not contain high-fructose corn syrup, artificial flavors or gluten and is a good source of protein and calcium. Alove comes in Blueberry, Original Aloe and Strawberry flavors. Morinaga Nutritional Foods is the U.S. arm of Japanese dairy giant Morinaga, which has been successfully selling aloe yogurt in Japan for years. Consuming aloe is associated with internal healing, cleansing and repair. Some studies show an association with boosting immunity and heart health. Dreaming Cow Creamery, the maker of grass-fed and 100% pasture-raised cream-top yogurt, is introducing a new line of products. LUSH is a nutrient-dense yogurt drink made from the same milk used for its yogurts and combined with fruits, one full serving of vegetables and more than 20 billion probiotics (Bifidobacterium-12), which have been clinically shown to promote immunity and digestive health. 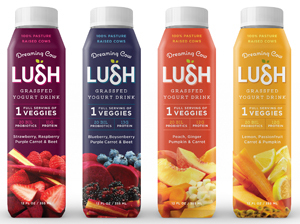 LUSH is a full-fat yogurt drink that contains antioxidants, vitamins A and C, iron, calcium, potassium and B vitamins. It comes in a square-round 12-ounce plastic bottle designed for merchandising in either the refrigerated produce section or the yogurt aisle. The four varieties are: Blueberry, Boysenberry, Purple Carrot & Beet; Lemon, Passionfruit, Carrot & Pumpkin; Peach, Ginger, Pumpkin & Carrot; and Strawberry, Raspberry, Purple Carrot & Beet. A single bottle contains 230 to 250 calories, 9 to 11 grams of fat, 11 to 13 grams of protein and 15 to 23 grams of sugar, depending on variety. LUSH is made with only natural ingredients, without any preservatives or stabilizers. Dreaming Cow is the only national yogurt brand that exclusively sources its whole milk from its own family dairy farms, which have been focused on the humane treatment of cows and sustainable farming since 1993. Dreaming Cow’s cows are not treated with artificial growth hormones. It’s time to go clean and green. That includes Big Food, too. May the luck of the dairy industry be with you.